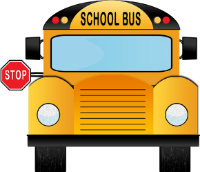 There was a bus accident this morning in the Scott Central School Zone within the Scott County School District. The accident is currently under investigation; therefore, we are unable to give details at this time. Procedures were followed according to the SCSD Emergency Crisis Plan. Everyone involved did an admirable job handling the situation. We would like to thank the local community for coming to assist this morning. We would also like to give a special thanks to our local law enforcement and first responders, school and district officials, and especially the kids that were involved. Everyone handled the situation in the best way possible, and for that we are very appreciative. As more information becomes available, further comments will be made. We are very thankful that the accident was not worse than it actually was.